Jim's Music Notes: Fwd: Beth Wood with Cal and Richard at the Vault! Fwd: Beth Wood with Cal and Richard at the Vault! Cal Scott and Richard Moore welcome long-time favorite Beth Wood to the next Songwriter Circle at the newly remodeled Vault at Gastro Mania, formerly O'Connor's, Monday, April 1 at 7:00 pm. This series is sponsored by Hearing Health of Raleigh Hills. 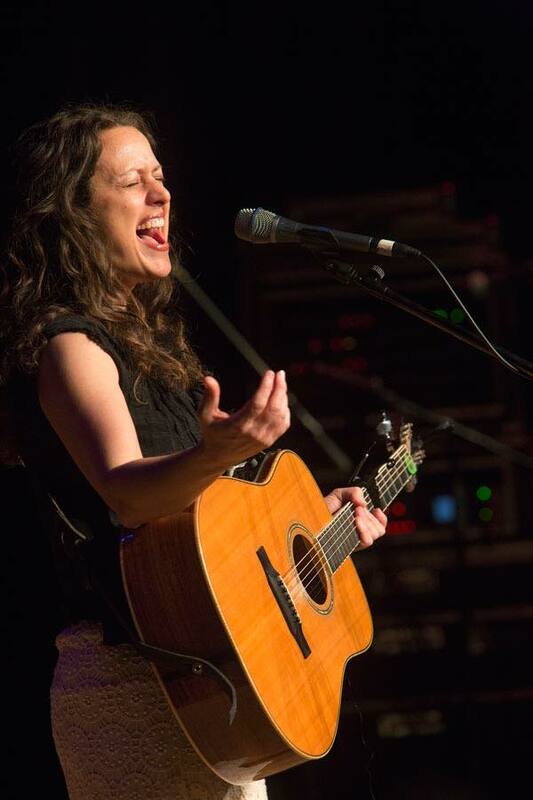 Texan-raised, Oregon-based singer-songwriter Beth Wood http://bethwoodmusic.com/ has won almost every major songwriting competition in the United States, and with 20 years of touring and 11 studio albums under her belt, she's done. With anything that doesn't bring her joy. So she's added publishing poetry now, and tortilla making, and teaching songwriting and poetry to pass the torch of music for music's sake. Beth's mission is to communicate and share the joy she feels through singing - through music as a spiritual practice. When you see her live you'll taste this, and you'll understand why Beth has long been one of the most beloved singer-songwriters in the industry. The Circle regulars with Beth will be Cal Scott and Richard Moore, who have fine-tuned their acoustic chops together and individually over the past forty-some years. Tickets are $15 from http://woodcircle.brownpapertickets.com or at the door. Once the show is sold out, a few tickets may be available at the door, at the discretion of the venue. Our generous sponsor, Hearing Health, at yourhearinghealth.com and 503-292-2995 is Portland's #1 rated Hearing Aid Provider, located in Raleigh Hills.